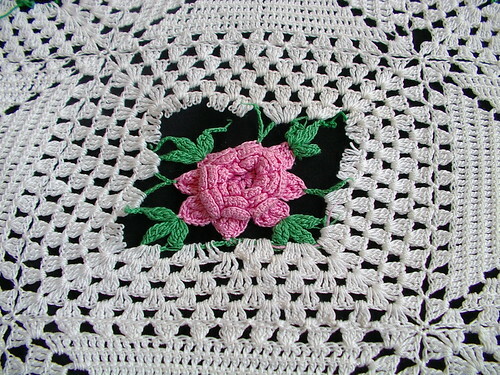 I few days ago I received a phone call from a nice lady who needed an afghan repaired that her aunt had made. So this morning I went to her house to discus the item in question. It has large number of holes in it. 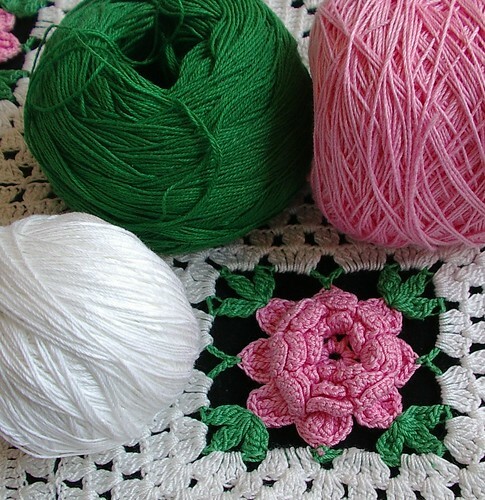 Most are in the green thread which is not uncommon colored threads sometimes have more issues than whites. Also that part of the pattern has a lot of chains which tend to be the weak link in afghans. It has a lovely fringe on the edge it would have been nice if it had had another set of knots tied in it or maybe even two sets just a little more formal for something that has so much work it was like the ball was dropped there. 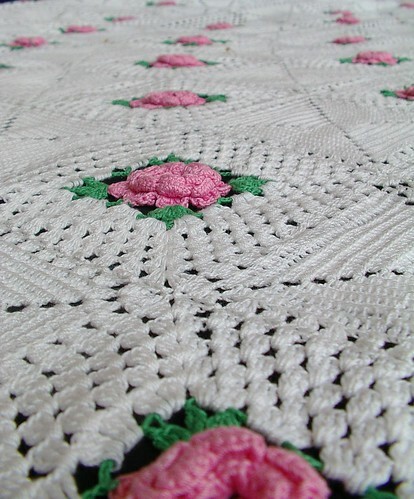 I have actually repaired this same pattern before about 4 years ago for an old neighbor. Funny thing is this lady is almost an old neighbor she only lives about 7 blocks from my old house in American Fork how funny is that. I went through my thread stash looks like I have some pretty good vintage matches for this afghan there are actually two shades of green in the afghan and one shade of white and one of pink. The bad thing about white is that I can not make the thread have the same patina as the original as it has never had the same wear and tear even though it is about the same age. So it will be a little bit different but that can't be helped that is how it is most times with repairs. I use what ever thread I can find that matches. I collect all kinds of thread from thrift stores, garage sales and any where else I can find antique and vintage thread. I store them by size and color so when I need to match something I look there first. 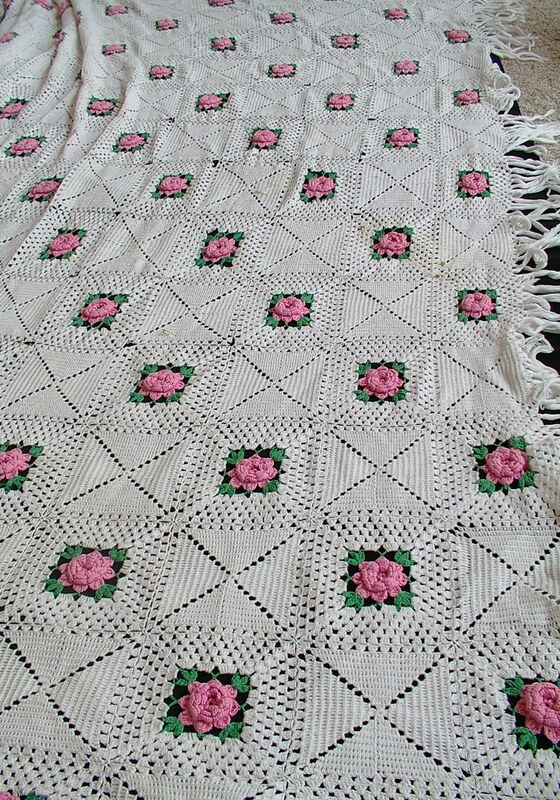 I like to use old thread with old afghans to keep them as close to original as possible. Some do not have labels any more so it is impossible to say with some. You have done an amazing job! I visit your site daily from South Africa and i am just blown away at your productivity. You are amazing Girl!!! I try to crochet every day but i work full time so I move along slowly. Your blog is an inspiration so keep it up! It's great that you can mend such beautiful items. It is a gorgeous Afghan. I love the colours. 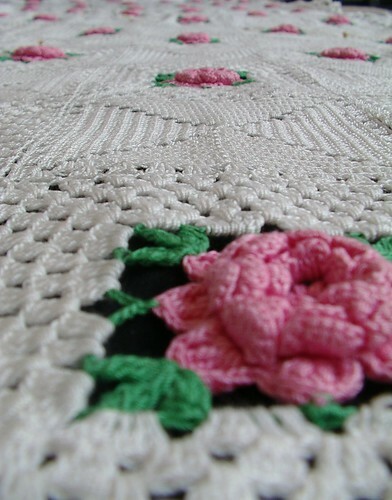 I was shocked to see this tutorial when I searched for "repairing vintage afghan!" My neighbor was looking for help with the very same one! Hers has some pretty large holes though. 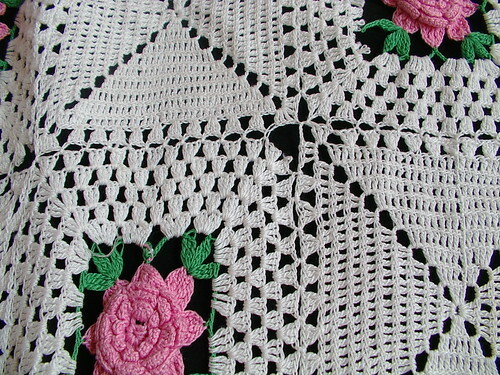 Anyway, do you (or anyone else) know where this pattern came from? I see a few other people said they also have the same one, and you did one the same as well. 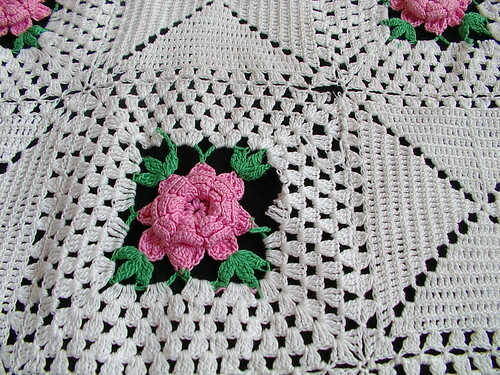 And does anyone want to share the pattern or directions for the floral squares with me? 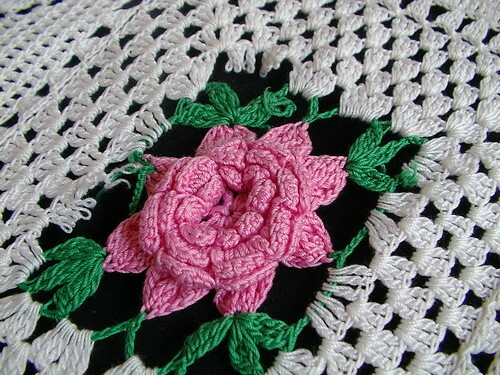 I am a fairly experienced crocheter, but figuring out the flower is probably beyond my abilities. (However, it doesn't seem that any of the flowers are damaged. But I'm not 100% sure.) 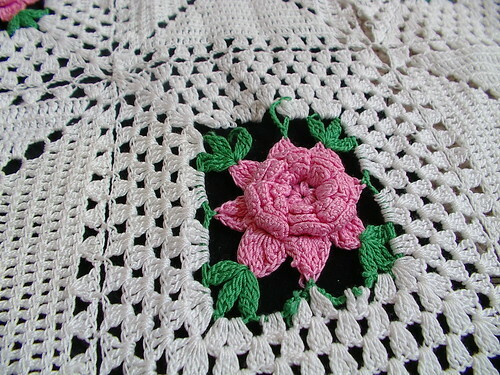 My neighbor would be so appreciative of any help--her mother crocheted it for her when she was pregnant, 60 years ago! She would like to pass it on to her daughter some day. 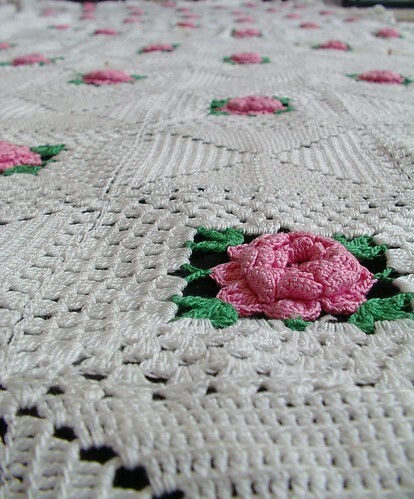 Do you have a pattern for this floral afghan? or know where I can find it on the internet? I have looked for it everywhere.